Throughout High School and College I lived in my sneakers, particularly Vans. As soon as I graduated from College I traded out my sneaks for stylish flats. This season I'm falling back in love with sneakers, from slip ons to wedges. I'm really in particular digging the sneakers with feminine dresses and skirts. Sneakers give the whole look a laid back vibe that is totally my style. I gave this look a try on a casual Saturday. Wore my pleated H&M skirt with my new pair of Puma wedge sneakers to run errands and have lunch with the parents. The trick to this look is to keep it super casual. When doing a feminine dress pair it with casual pieces like a leather jacket. 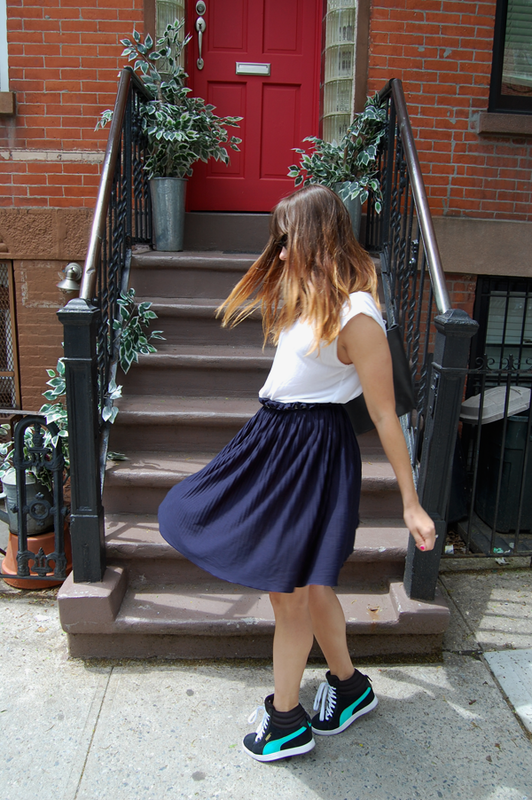 When doing a feminine skirt keep your top simple, a slouchy top will add a bit of ease to a look. Would you give this trend a try? 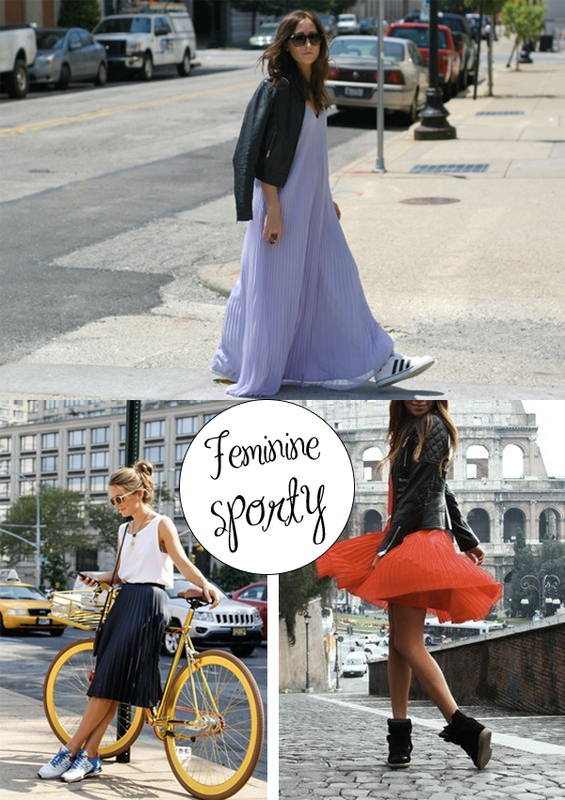 I love the look of a skirt/dress with sneakers! I wasn't particularly into them when I was younger and I never owned a pair of Vans, but I do have a couple pairs of sneakers that I love and have found myself wearing a lot these past few months. I'm a big fan of this combo! You are fantastic! you know, when this look first came out i hated it, but it has totally grown on me over this past year. I like the tip of keeping most of the outfit casual around the one feminine piece- i think that's what's going to balance it all out and not make you look confused, haha. I love your look especially! Thanks for the love!!! I adore your outfit my dear!